Star Sign Aires – You need a job with much freedom, not a lot of petty supervision, but independence of action. You work hard. Office jobs are quite unsuitable as is anything with a lot of routine. You enjoy jobs that bring you into contact with other people, but you do not fit too readily into teams, organisations and groups. You will tend to be respected for hard work and results but not well-loved by superiors. Try being a traveling representative, open air work, or being your own master. Star Sign Taurus – You work at your best only if the background of your home and emotional life are settled. If you can find a restful job which is in comfortable surroundings you work very well indeed. You have a great facility to spend money, you need it very badly and provided that your working conditions are right you can work yourself into the ground to get it. Horticulture, forestry and agriculture do not pay all that well but Taurus do well in them. Success can also be found in luxury and artistic professions. People under this sign usually have brilliant intellectual capacity; clearly their work should be of a type that gives full range to their ability and remarkable enthusiasm for hard graft. Gemini people must avoid any work which is dull, monotonous, and routine; they need freedom. They are inventive, creative, and full of initiative, Gemini people fit into almost any working group – although they may not always like them. Cancer folk drive themselves very efficiently; when they start something they invariably push it through to its finish. Usually this sign does its best when working alone or without direct supervision. Hotel and restaurant managers, cafe owners, swimming pool superintendents, shopkeepers and managers. Fashion work, scientific, photo­graphic work – almost any serious, worthwhile job with an intellectual challenge and a chance of meeting and talking to people attracts Cancer types. Loyal and conscientious workers, Cancer is quickly put off by unfair treatment or bad conditions of work. Star Sign Leo – Your difficulty in work is that you feel instinctively and insistently that you should be at the top. Young Leo workers are often far too impatient. Leos never really enjoy working in a mass to be just a cog in a wheel; you must have a chance for good promotion. Brilliant organisers, you give orders far better than you take them, unless you respect the ability of your superiors. You usually prefer a job like the Civil Service or a similar occupation in which everything is set out in black and white. You need rules, fairness on both sides, and do you well in scientific, technical and analytical work. You are clever in accountancy and all precise matters. You are not good in jobs where much imagination and initiative is required, although there is great talent in acting here. You make superb efficiency experts, but usually expect too much from other Zodiac signs. Star Sign Libra – You are not easy to place. You will often change a job according to emotional dictates. In art, music, ballet, exhibition work, modelling, etc. you can excel. You co-operate marvellously with people you like, and might easily follow a favourite boss into another job – even if it meant a lower salary. You make sympathetic (if not always 100% faithful) bosses: Everyone comes to you with their tales of woe. You can be good diplomats and politicians. You can succeed in almost any work you undertake – provided you are emotionally happy. 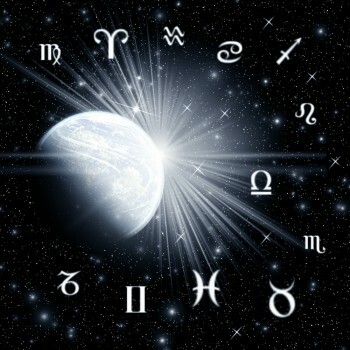 Star Sign Scorpio – You prefer work with a touch of adventure in it, with a chance to use your tact, charm and wit. Your natural fierce energy and your organising powers need a natural, healthy outlet. Chemists, dentists, doctors, car mechanics, professional soldiers, engineers; your talents are many. Many politicians and reformers are Scorpios. You must find something that intrigues your mind; otherwise boredom will set in! Star Sign Sagittarius are intellectuals, farmers, electricians, inventors, many indeed are the fields of success available to Sagittarians – but not the Civil Service! You need freedom to move, to make responsible decisions, in which to bestow the benefits of your leadership. Any field of activity in which you serve a section of, or the entirety of, a community will make you very contented. Education establishments should also appeal, as you are the eternal student! Star Sign Capricorn are often found to be quiet, efficient, overmodest experts. People will treasure your memory for years – which is just as well for you as you are seldom paid what you are worth. Albert Schweitzer, Heinrich Pestalozzi and Grock (the great clown) all made contributions of one sort or another to human happiness and welfare: they all died poor. You make superb schoolteachers, administrators and historians. You desperately, need security and are slow to act, slower to change jobs and slower to adapt. You work at a slower rhythm than most, and are easily misunderstood. Star Sign Aquarius – Yours is a fantastic sign. If you overcome the slow contemplation that more aggressive signs mistake for laziness, you can show talent and sheer genius second to none. You can excel at anything and everything you put your mind to. Aquarians usually do not put themselves wholly 100% into anything – however good they are at it. Your versatility is remarkable. In adaptability few people can match you. Tolerant bosses usually, you overwork yourselves more than you do others. The latest scientific fields are ideal for practical Aquarians; atomic, electric, space research etc. You cannot work if subjected to injustice or if unhappy in your job. Star Sign Pices are tireless workers, excellent (often selfless) assistants but not very good businessmen and women on your own accounts. You work better in company than singly. You are authors, singers, scientists, priests, politicians and poets. Orderly and well-disciplined workers, you are well respected. Albert Einstein and Copernicus were both Pisces!